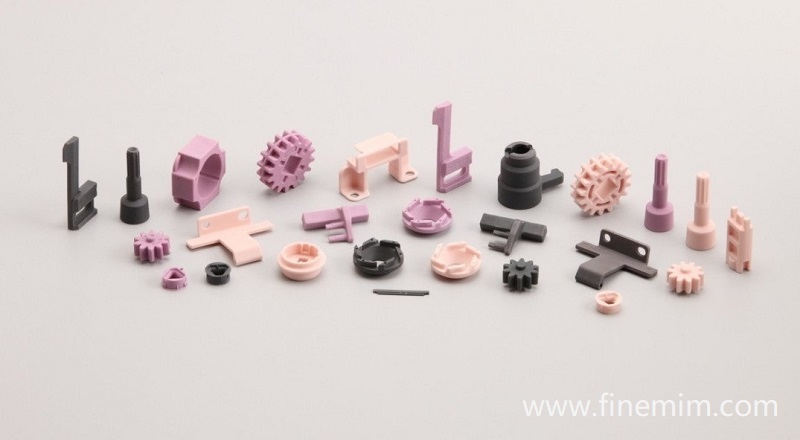 The Technical Ceramics business of FineMIM is a China leader in the injection molding of ceramics. With our design and manufacturing expertise, we can support the development of your next generation products from prototype through to full volume production. What is Ceramic Injection Molding (CIM)? The ceramic injection molding process begins with very fine ceramic powders. Using sophisticated mixing technology the powders are compounded with thermoplastic binders to produce a homogeneous pelletised feedstock. The binders form a liquid medium which carries the ceramic powders into the mould during the injection stage. Using an injection molding machine similar to that used in conventional plastic molding, the molten feedstock is forced into a mould cavity forming a net shape part. Moulds can be single or multi-cavity configurations.After forming the part it then goes through two thermal processes. First is pyrolysis to remove the binder, followed by sintering in a high temperature kiln to form a fully dense ceramic component. During sintering the component shrinks uniformly by as much as 20% while retaining the complex shape. With good process control close tolerances can be obtained, therefore machining of the part after sintering is usually not necessary. To ensure customers maintain their competitive position the company provides the most cost effective, reliable and dependable path to meet product development timeframes. Rapid prototyping supports this enabling a fast-track path from concept to production samples. Utilising rapid tooling methods and CNC machining techniques, it is possible to produce CIM components from a 3D CAD model in a short time-scale with minimum investment. Suitable for low volumes to allow customers to see and feel production-like CIM components during their development stage prior to investing in high volume production tooling. Machined – Suitable when very low volumes are required in the tens range. Components would be CNC machined from green blanks. Rapid Prototypes – Referring to manufacturing a rapid prototype CIM tool. Capable of producing CIM components in small volumes, typically hundreds to low thousands range. CIM – A full CIM production tool capable of producing repeatable parts in high volumes, from tens of thousands up to and beyond one million components. When a ceramic material has been chosen for a specific application, the geometry of the component has often been limited by the cost of shaping operations. Ceramic Injection Molding (CIM) overcomes this issue by forming net shape parts in the tool. Designs previously rejected as too difficult or expensive to manufacture using other production techniques are made commercially feasible. Features such as re-entrant angles, multi-shaped blind holes, screw threads, surface profiles, perpendicular holes, undercuts and intricate cavities are all possible using CIM technology. A multi-million pound investment in CIM manufacturing technology at Dongguan has enabled the site to produce moulded ceramic components in volume for major international customers. These components offer all the benefits associated with technical ceramics including wear resistance, corrosion resistance, thermal stability, superior hardness, high mechanical strength and dimensional stability. Physical features available through Ceramic Injection Moulding include undercuts, threads, blind holes and curves.